Task: To provide informational support for the liberal tax reform of 2000-2001, enabling oil companies to invest profits into production; liberalizing and systematizing legislation; cutting down corruption in ministerial departments. 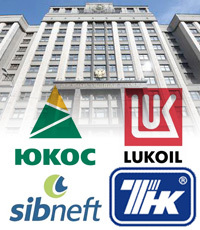 Strategy and tactics: Four major Russian oil companies represented the striving by the whole Russian business to establish a clear and transparent taxation system in the country. Our media relations specialist was seconded to the Russian Parliament’s Tax Committee as a press secretary. By slowly building awareness within the media community and resisting the financial bureaucracy lobby we have managed to overturn initial sepsis towards the reform. Result: Our way of building up the media relations for this cause has become a PR-model for other Parliament committees who used to employ the old Soviet-style non-transparent and unfriendly communications. The tax reform has not only optimized the business environment for the Russian entrepreneurs, but also has become known as the most systemic and integrated reform in the history of modern Russia.